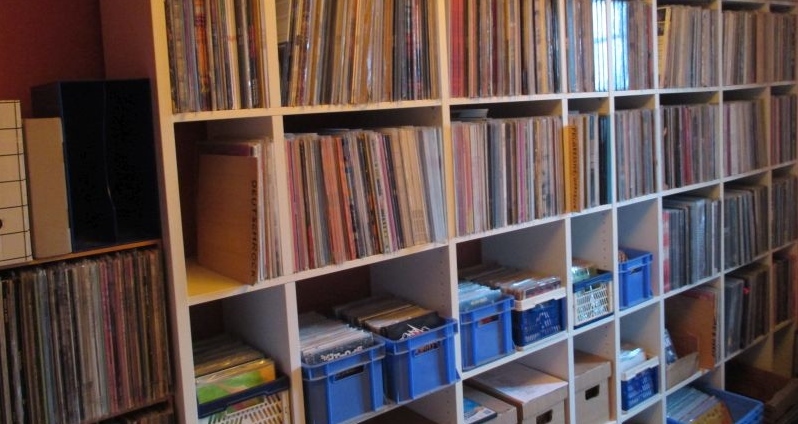 Due to the standards of the webshop-format you don’t have any lists anymore but have to click on each record to get further information about it. In the 1st window you’re gonna find additional photos, a description of the product, retail-price, format or land and year of release. More details you’d find when you click “additional information” in a 2nd window like catalogue-number, label and grading. I’d have preferred to see all these infos in the first window already but the given shop-design wasn’t made for that and it would have taken too much time to change that. But after checking a couple of records you’re gonna see it works quite easy this way. Abbreviations used in the descriptions are explained under the shop-menue on the left hand side. If you want to expand the photos just click on them. If you want to order a record just add it to you cart by either clicking the link below the photo or the same link in the 1st window. The cart is no order yet but a preselection which you could change or reject any time. If you fill in the country of destination you’d get the various possible shipping-rates you could choose from. A click on “proceed to checkout” brings you to the actual order page. Here you have to leave all necessary data for your order (name, address, phone & method of payment). If you’re want to pay by bank-transfer just send off your order and I will ship the record(s) as soon as I receive the money on my account. If you decide for Paypal-payment you will be forwarded to the usual Paypal-site. As soon as I’m credited the proceeds I’m gonna ship your order (usually the next day). It’s the same procedure you’re probably used to from other webshops. In case you still have any problems please feel free to contact me any time by phone or mail. I’m sure together we will solve the problem. The photos (as far as at hand) are made to give you an optical impression of the actual album and belong to the grading of the cover. But this doesn’t apply for the record! Here only the given grading in the “additional information” is obliging. You can’t prevent light refractions that look like smears or vinyl defects on photos. That doesn’t matter! The photos of the vinyl are only made to differ original pressings from reissues by the labels. I generally regard it pretty difficult to grade a record optically (though it is of course very pragmatic), but grading by photos is virtually impossible.